Now available through TTI Europe, are CSS series high power current sense resistors from Bourns. The devices come in both two-terminal and four-terminal versions. The two-terminal models are offered in three separate footprint sizes: 5930, 3920 and 2512 (6332 Metric). With resistance values as low as 0.2mOhm, each group will provide a variety of low resistance options and power ratings of up to 15W. 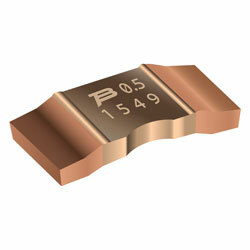 The four-terminal designs provide for high precision 4kelvin resistance measurements and are available in size 4026. The series products benefit from exceptional long term stability, low thermal EMF, low inductance, and are fully AEC-Q200 compliant. Custom versions are available upon request. The main target applications are current sensing, battery management systems, power modules/motor controllers, as well as frequency converters. Generally, current sense resistors are increasing in popularity due to their high measurement accuracy and comparatively low cost related to other technologies. These resistors recognise and convert current to an easily measured voltage which is proportional to the current through the device.